We provide Ribbon Blenders to our clients. Ribbon Blender comprises of a U- shaped horizontal and are based on a power agitator construction that provides a triple mixing action ensuring fast, efficient blending. 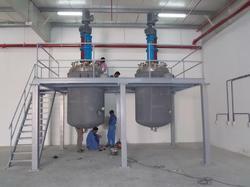 Our company develops Industrial Blenders, which are widely installed for blending two or more chemicals. These are constructed from prime quality stainless steel that provides robustness and durability to the machine. It is available in various standard capacities and can be customized in different configurations as per the demands of our clients. Leveraging over the skills of our qualified team of professionals, our company is indulged in offering Granular Mixing Machine. 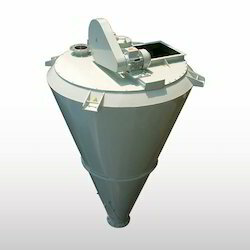 These Granular Mixing Machines are designed as per the customized requirements of the clients. Our product is highly appreciated amongst clients for its rigid construction. - High shear. Particle size reduction to less than 1 micrometer. - Tip speed up to 50 m/s. - Sealing system: sanitary single cooled mechanical seal. - Adjustment of different tolerances between the rotor and stator. Mass Mixer has been well designed to facilitate through mixing of dry/damp powders & Granules and is especially suitable for granulation. The powerful geared drive and sturdy mixing paddle makes mass mixer ideal for mixing with all kinds of products in various applications.